#1 New York Times bestselling author and master of horror Stephen King teams up with Bev Vincent of Cemetery Dance to present a terrifying collection of sixteen short stories (and one poem) that tap into one of King’s greatest fears—air travel—featuring brand-new stories by King and Joe Hill, “an expertly compiled collection of tales that entertain and scare” (Booklist). 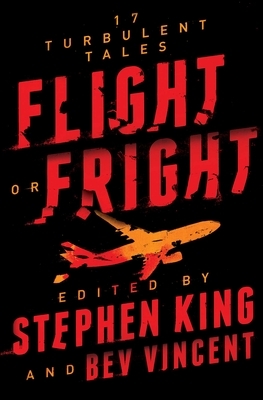 Welcome to Flight or Fright, an anthology about all the things that can go horribly wrong when you’re suspended six miles in the air, hurtling through space at more than 500 mph, and sealed up in a metal tube (like—gulp!—a coffin) with hundreds of strangers. Here are all the ways your trip into the friendly skies can turn into a nightmare, including some we’ll bet you’ve never thought of before... but now you will the next time you walk down the jetway and place your fate in the hands of a total stranger.